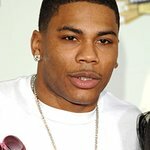 Basketball and Hip-Hop fans in Chicago are in for a treat as Grammy Award-winning national recording artists Nelly and Bow Wow have announced their own celebrity basketball game to promote a positive initiative in the Chicago community. Derrty ENT’s representative and the Cash Money Millionaire will hit the court in Chicago on Sunday January 31 at the UIC Pavillion to square off against one another – backed by their respective celebrity teams – to promote the importance of education. After hooping it up on the court, the losing team will donate $100,000 to the charity of their choice. The goal of this event is to provide a fun, entertaining, and positive experience for area students and to encourage them to continue putting their education first. During half-time, celebrities will speak on the importance of education and organizers have already rewarded hundreds of Chicago area students – with good academic leadership and community involvement – free tickets to the game. Loosecannon and Finessemuzik Entertainment, along with the artists, are committed to promoting the important of education and will be visiting many more cities to continue their efforts. Tickets to this event were generously donated to Chicago Public Schools, homeless children, the Chicago Police Department and the Chicago Park District. Tickets are also available for purchase online at Ticketmaster.com.